Does My Business Really Need a Blog? As you are breaking down your marketing budget, the question of whether money is well spent on managing a company blog may cross your mind. After all, a blog isn’t a direct marketing tool, and it takes a lot of maintenance to keep up. And yet, you’re reading this article on our blog, so it’s hard to argue that it hasn’t made an impression. In fact, blogs can have a number of benefits for businesses, and those benefits can make the investment well worth the cost. While you may not see a huge immediate boost in sales as a result of your blog, you might see it make a lasting impression on potential and existing clients, and that can lead to a lifetime of customer loyalty. Some businesses fail to see the benefits of a blog, because blog posts should not make a hard sales pitch or exclusively highlight the services of a given business. They may raise awareness of those services, but ultimately the goal is to inform and entertain. So, you might wonder, why should you inform and entertain your clients when there is so much content already out there on the internet to do just that? One good reason may be that your competitors already host their own blogs, so that might be where your customers are looking for their information. The following perks of a business blog might also shift your perception of blogging from a luxury to a necessity. You might have a great website with optimized text on each landing page and service page, but that content won’t keep readers coming back. If someone is brought to your website by a great blog post, however, and they see that you have recently been updating with new and exciting posts, then they are likely to come back to see new content that you add. While blogs aren’t intended to be ads or product sheets, they can still do a lot to inform clients about your services. This is particularly true if your business is in a niche industry that your clients may not really know that much about. For example, if you are an endodontist, it might be necessary to educate potential patients about what your practice does and how that’s different from regular dentistry services. Even if your industry is familiar to most consumers, there is likely something you can offer to the conversation, such as how-to articles or objective comparisons between two major brands of products you sell. The more content you post related to your industry, the more customers will start to view your company as an authority that they can trust. You may not yet be sold on the value of a blog, but you probably know how important it is to maintain a presence on social media for your business. What you may not have thought of is that your blog can be great fuel for your social media accounts, because each blog is an opportunity to link back to your site on social media and gain the attention of new readers. Plus, your followers may be inspired to share helpful or entertaining blog posts, so their reach can extend even further, making your brand that much more visible. Blogs should be written with readers in mind, but their audience may not be exclusively human. In fact, your blog will help provide important markers for search engines as your site is indexed and ranked in search results. If your content aligns to specific keywords, you are more likely to rank well for those terms than a site that doesn’t maintain an active blog but offers many common services. By now you might be thinking that hosting a blog for your business is a worthwhile effort, but you won’t want to dive in without first considering how to make your blog the most effective resource it can be—which will, in turn, ensure that it provides the most benefits for your business. Blogs thrive on regular content, and, ideally, you will post new content weekly to keep readers engaged and excited about your blog. Of course, you should still strive for quality over quantity. If you don’t have the resources to produce four great blogs per month to post weekly, then cut down to posts every other week and add in some shorter length blogs so that you can keep up with your posting schedule. You should never post anything to your blog without thinking that it’s worthy of reading and sharing. If you or your staff don’t have writing expertise, then invest in some outside help to keep the writing interesting, engaging, and worth reading. A professional writer can also find the right voice for your blog, ensuring that it is on-brand with its messaging and tone. You might add a CTA at the end of your blog posts, directing customers to learn more or even make a specific purchase. However, you will want to be careful to leave the sales pitch behind in the main body of your blog content. Readers flock to blogs that offer them something, not those that are trying simply to sell them something. Many businesses simply don’t have the time to manage effective blogs, despite the benefits that a blog can offer. If you’re struggling to produce blog content that represents your business, Writers Work can pair you with talented freelance writers who can exceed your expectations. 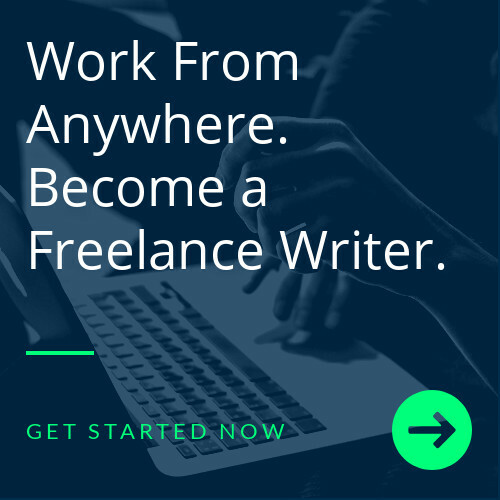 Browse the Writers Marketplace today to find your next writer, or post a job listing to draw in talented applicants to fulfill your search.